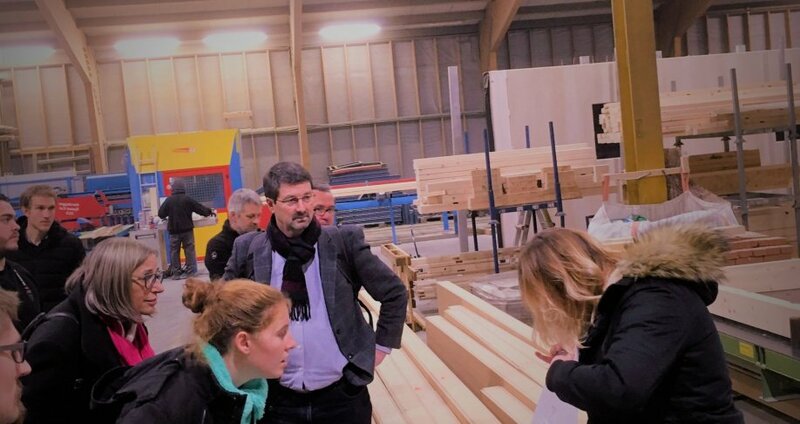 The 26th of November, German companies and education center Gut-Rosenberg crossed the belgian border to meet and share experience in wood construction. This event took place in the framework of project EarlyTech and Innovation2Market in order facilitate technology transfer in the wood industry. Germans show interest in the robotized solution developped by companies MOBIC and IMAXPRO. Furthemore, Gut-Roseberg‘s students proposed to exchange ideas with a belgian online plateform to order wood-furniture crafted with robots. A new step forward in cross-border cooperation !